Distillerie du Peyrat is a French distillery that benefits from two terroirs – Grand Champagne and Fins Bois. They are committed to producing organic spirits using sustainable methods, which they apply to their Organic XO Cognac. 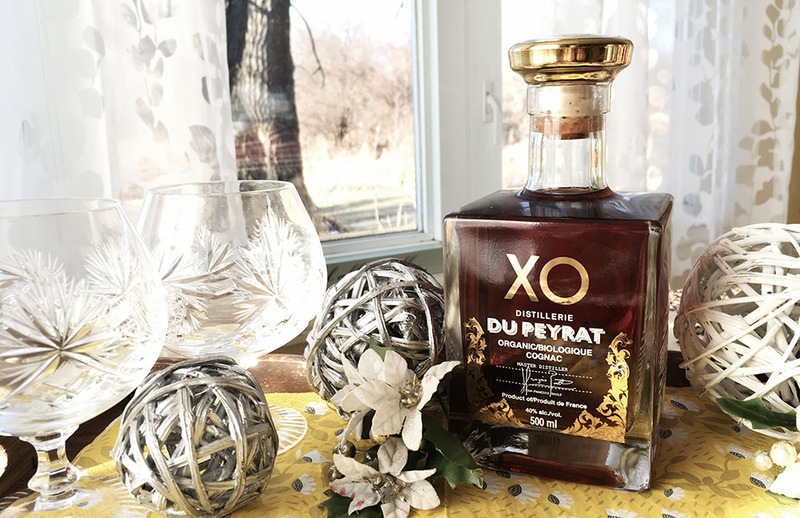 Available at most LCBO locations, Organic XO Cognac was selected as one of the 50 best spirits in the world by Wine Enthusiast Magazine in 2013 and was awarded 97 points, one of the highest for cognacs. It is a blend of 12 year old cognacs, most of which come from the Petite Champagne region. Distillerie du Peyrat’s products are certified organic by several organizations worldwide, including ECOCERT and the USDA. In the end, though, it all comes down to taste – especially considering the hefty price tag. It is a lovely golden colour, clear and crisp. The smoky nose has notes of black pepper and spice, with hints of chocolate, cherry and perhaps a little maple. The alcohol burns the nostrils a bit, so sniff with caution. The smoke and spice carries through to the palate, without any of the sweetness found in the sniff. Organic XO Cognac is quite astringent, drying out the mouth and hitting you with the alcoholic burn. That is, until it warms up in the glass; then it’s smooth and warming. The smooth finish has hints of oak. Adding a splash of the Organic XO Cognac to a mug of tea did wonders. It added a nice, light flavour and a bit of warming depth. Overall a great sipper, when warmed up, and would make a nice addition to cocktails and hot beverages.